from properly set tools will be no more than a few percent, and is often negligible. Cultivation late on a sunny day when crop stems are less turgid reduces mortality. Several studies have examined spinners in conjunction with other in-row and near-row tools (Schweizer, Westra & Lybecker, 1994; VanGessel et al., 1995b; Mohler, Frisch & Mt. Pleasant, 1997), but so far, controlled investigations ofthese tools have been minimal. Rubber-finger weeders consist of two pairs of ground-driven wheels equipped with rubber fingers that stir the surface soil in the row, but bend around well-rooted crop plants. 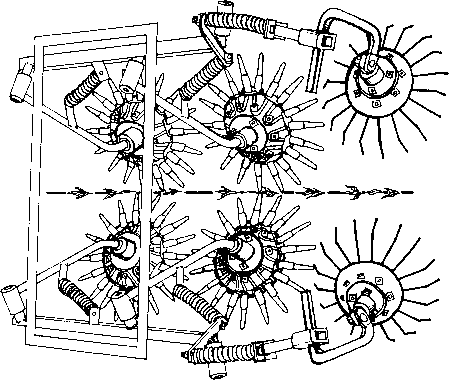 These are followed by wire baskets that aggressively stir the area adjacent to the row (Figure 4.18). The rubber fingers are stiff, so weeding in the row requires that crop stems be tough and well rooted. The implement is commonly used to weed nursery stock. 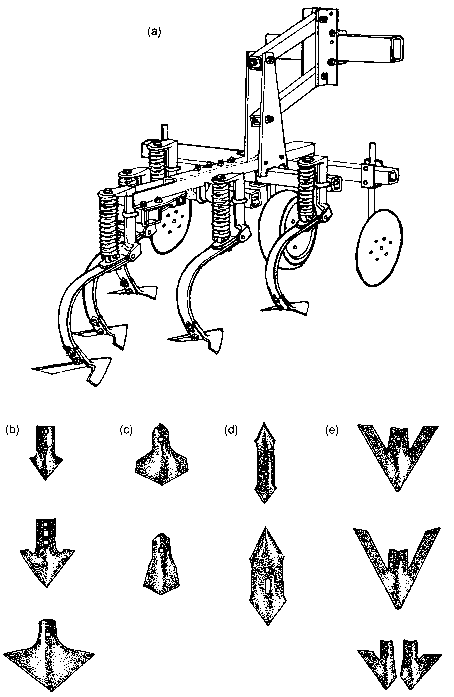 Rotary hoes, weeding harrows, and some in-row tools commonly reduce crop density by several percent (Rasmussen, 1991,1992a; Buhler, Gunsolus & Ralston, 1992; Mulder & Doll, 1993; Rydberg, 1994; Mohler, Frisch & Mt. Pleasant, 1997). Generally, this stand loss appears as randomly spaced missing individuals, rather than as blighted row sections. 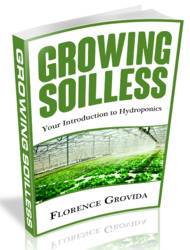 Consequently, growers may find that a high planting rate improves yield and competitive pressure on surviving weeds (Bender, 1994, p. 39).